The Hungry Beast is really, what else… hungry! Eating is his pleasure! 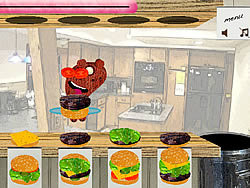 Help him by making some burgers using the ingredients it gathers on its plate! Have a tasty time!